small animal cage great for mice,hamsters, and gerbal. Comes with the basic necessities to house a small rodent. 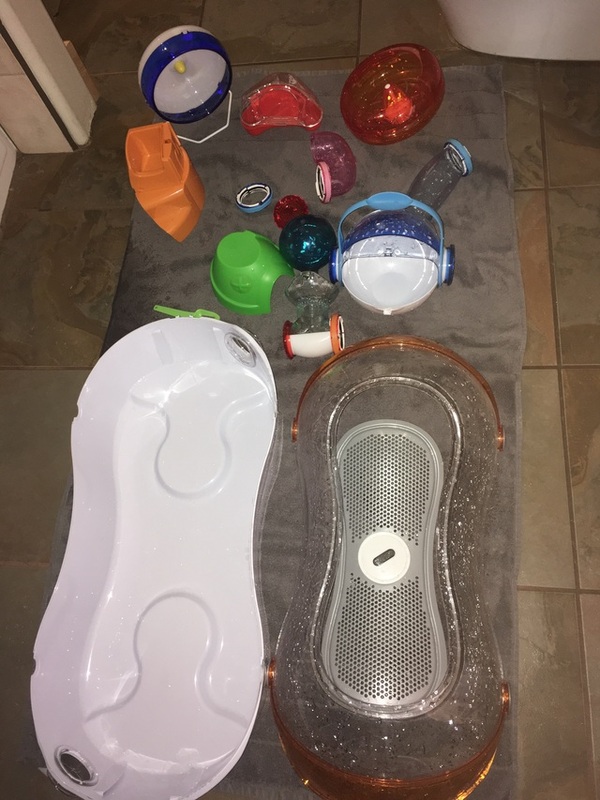 Great shape only used it 1 and then realized it was to small for my big hamster. Great quality No scratches or stains doesn’t smell. Email me for closer photos.